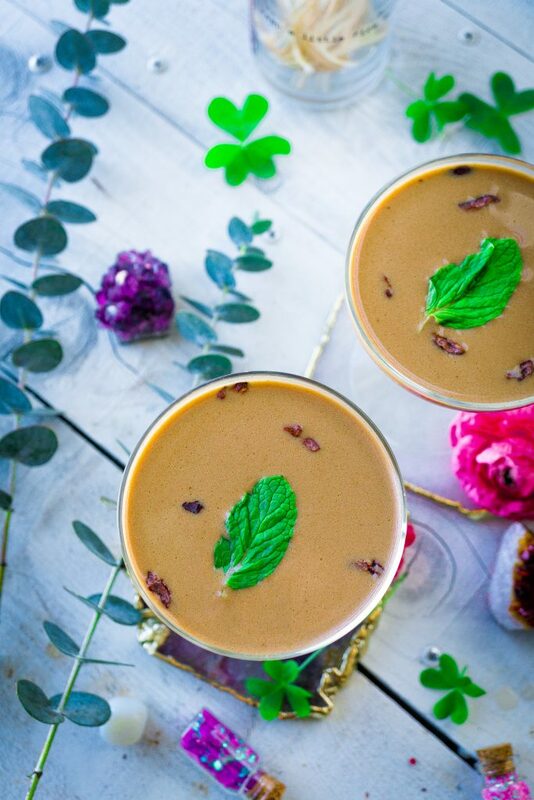 Vegan Irish Cream with Rasa Koffee, is rich, silky, chocolatey with hints of coffee notes. I will be completely honest I can not take credit for this recipe. It was my loves idea, who happens to be as Irish as they come. Yesterday while I was in the other room, he was secretly in the kitchen brewing up this magical recipe. Another bit of honesty, he is very creative, and most times his recipes turn out absolutely amazing, and sometimes well they were a good try hehe. This one completely blew me away! He knows the only coffee I drink is from RASA, but if you are sensitive to coffee you can try their herbal koffee which takes just like coffee but without the caffeine. They have 3 different blends to choose from so make sure to check them out! 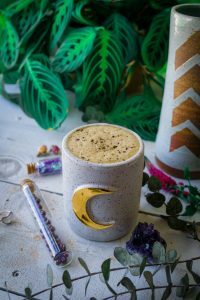 I was always VERY sensitive to coffee but I can handle their coffee blend, as it has 12 different adaptogens. Nothing says St. Patricks Day like a cup of Irish Cream. 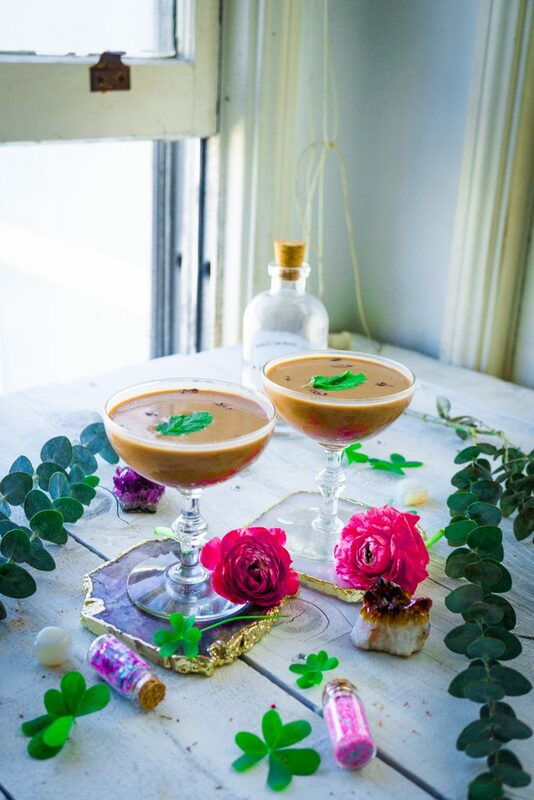 Irish Cream can be served in a variety of ways, but like with most traditions, it’s hard to find one that fits most lifestyles. Naturally, Irish Cream has alcohol, but ours is alcohol-free so you can enjoy it at any time! It’s also vegan and sugar-free but still tastes amazing! I prefer Irish Cream served chilled as a relaxing smooth drink, but warm and in coffee is also amazing! 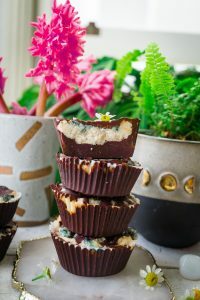 For this recipe, I decided to make it magical with RASA Dirty (which has a hint of coffee). I also snagged my boyfriend’s Aeropress to bring out the strength of the coffee. Irish Cream usually takes espresso for a stronger coffee taste, but with the Aeropress, I was able to make it using RASA and extract a super strong cup. It was hard not to drink the coffee straight before putting it in the mix! With the texture of the coconut cream it’s rich and smooth, throw in the hint of pure stevia it’s sweet and delicious! 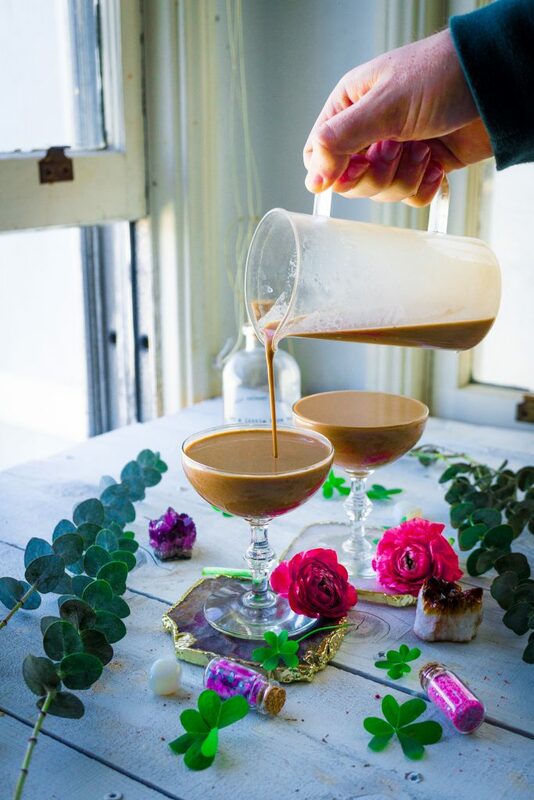 I’m excited to pour up a little bit of this Irish Cream and enjoy the upcoming St. Patricks Day! Warm the Coconut Cream and Coconut Milk. On a stove top, we need to heat up the coconut cream and coconut milk to ensure it’s melted and mixed together. Coconut cream out of the can is more solid. Heating it will allow it to melt and mix well! Make Your Rasa! 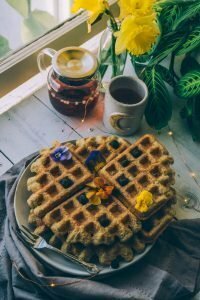 So for this recipe I used an Aeropress and let it steep for a little longer than you would with normal coffee, just to extract the delicious herbs from the Rasa. To do this, heat your water up to 190 degrees in either an electric kettle or on the stove. Put the bottom with a filter on the Aeropress and put the RASA on top. Pour the water on the Rasa until it reaches the 4 on the Aeropress. I let it sit for 5 minutes to extract the flavor from the coffee and the herbs. After 5 minutes, I plunged the Aeropress. It made just the right amount! If you don’t have an Aeropress, simply make about 1 – 1 1/2 cups of Rasa coffee either in a french press, drip machine, or whatever is at your disposal. The coffee adds just the right amount no matter what. Melt Imlak’esh Cacao Wafers to Liquid. To do the melting, I made a quick double boiler using a small pot, put a small amount of water in it, and a bowl on top. Then I heated the wafers until they were liquid. We needed to make a chocolate syrup so this is a healthy way to get the same taste. Once melted, we are ready to mix it all together! Mix It All Together. 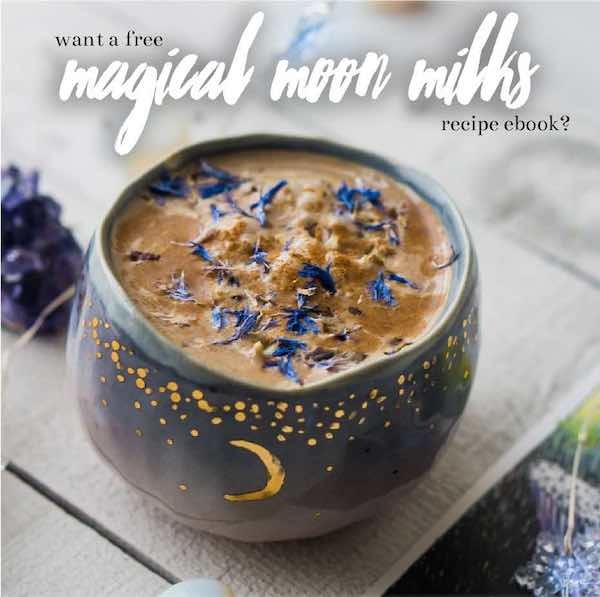 In the pot that contains the coconut cream and coconut milk, mix the Rasa coffee, Imlek’esh melted cacao wafers, and add 1/2 tsp of the pure stevia. Whisk it all together so it meshes very smooth. I let it sit for about 3 minutes on low heat while whisking intermittently. Enjoy! After everything is mixed together, it’s time to enjoy! We let ours chill for a little, or you could put an ice cube in it or you could drink it warm! 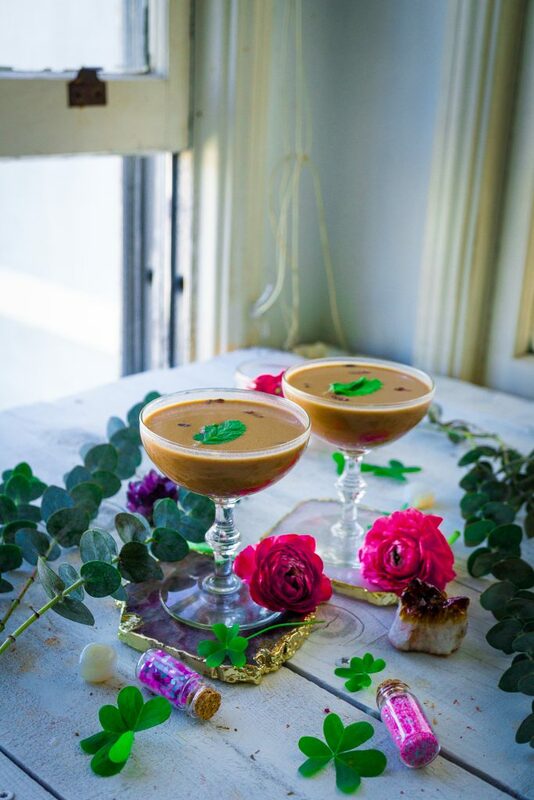 It’s so delicious and a great way to celebrate St. Patricks day or a great holiday drink!